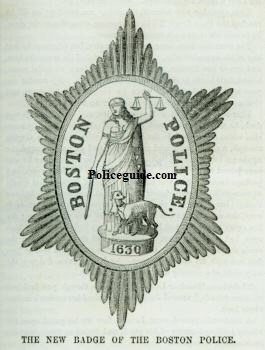 Boston 1st issue police badge, circa 1853. 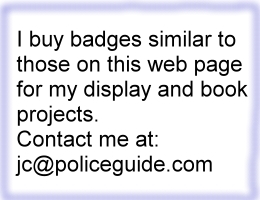 I have a buyer looking to purchase one of these badges. The 5th issue Boston, Mass. 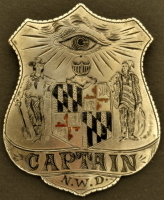 police badge was issued Oct. 1, 1870 and used until 1879. Two colors are known to exist, silver and gold, the silver being the most common. 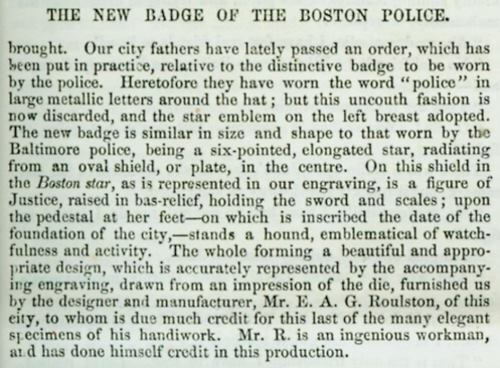 6th issue Boston Police badge, the " radiator" style was issued in 1879. Cambridge, Mass. police officer and Cambridge, Mass. 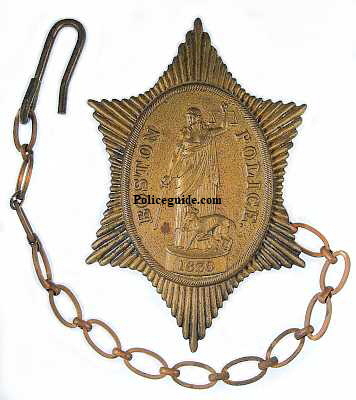 Police badge. Newton Police, sterling silver and hand engraved. Made by C. A. Twitchell. New Bedford, Mass. 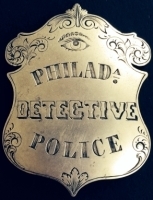 Police badge #31 with cut out numbers and a cabinet card image showing the officer wearing #29. Issued to Walter E. Baker. (North Eastern Telephone and Telegraph Co.